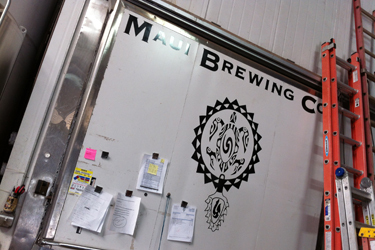 My favorite beer in the entire world is Maui Brewing Company‘s CoCoNuT PorTeR. Mom and I discovered it several years ago on one of our annual trips, and I was instantly hooked. I love porters and stouts, I love coffee, and I love coconut. I wanted to go swimming in this beer. Not really, what a waste of delicious beer. I DID want to drink it every day for the rest of my life. Well this year, on our annual trip, Mom and I got to take a tour of the wonderful place that all this magical brew comes from. 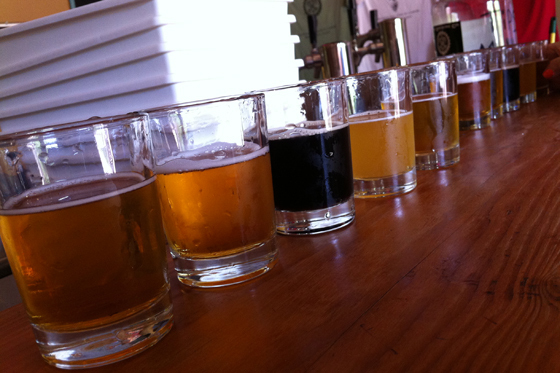 The Maui Brewing Co. tour is only $10 and includes a taster flight after the tour, plus a token for a free pint at the Maui Brewing Co. Brewpub in Kahana (where they have even more beers available to enjoy than at the tasting room). Awesome! 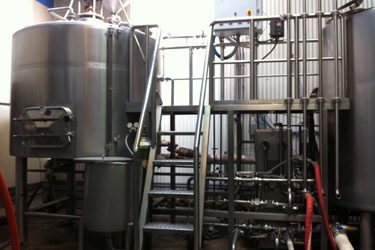 The production brewery is in Lahaina Town, just across the Honopi’ilani Highway from Hilo Hattie, tucked behind a strip mall. 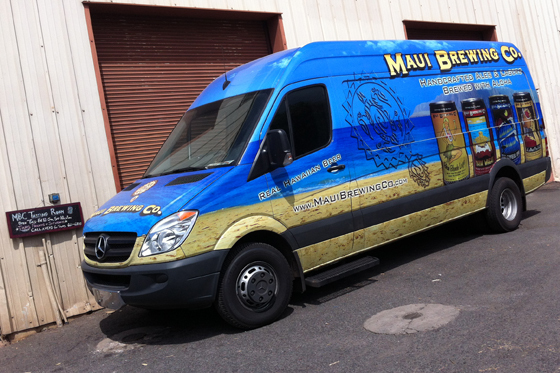 As we approached the entrance, we knew we were in the right place when we saw the big, colorful Maui Brewing Co. van. Awesome. 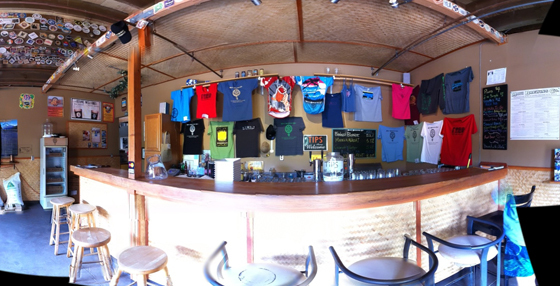 Inside the tasting room was a nice bar, and lots of cool Maui Brewing Co. tees available for purchase. The tasting room has a really nice, homey feel to it. We were a little early for the tour, so we decided to do our tasting beforehand. Today they had their four regular brews on tap: Bikini Blonde, Mana Wheat, my favorite, the CoCoNuT PorTer, and Big Swell IPA, but they were also pouring their current seasonal beer, “Liquid Breadfruit” so it was cool to get to try that (they’re here pictured in reverse order … and the second set is Mom’s). YUM. After our flights, we took the tour. 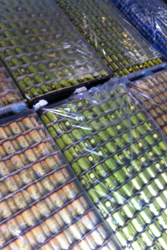 We were shown a massive amount of empty cans, waiting to be filled, as well as kegs that are sent to the brewery, where they clean and sterilize them, fill them with delicious beer, and send them back out. 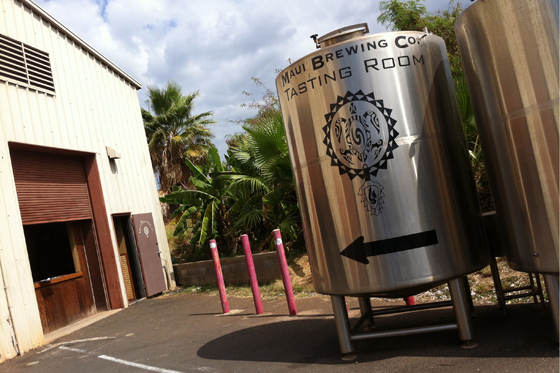 Maui Brewing Company is very eco-conscious and they are always looking for ways to keep their production efficient, green, local, sustainable, and supportive of Maui and Hawaii’s economy. Love these guys. 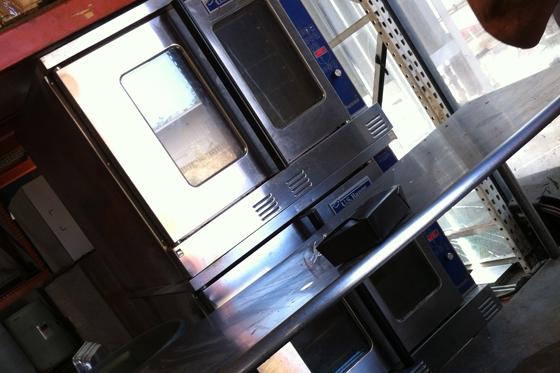 Here is the oven where they toast the coconut for the most wonderful beer on the planet, the CoCoNuT PorTer. Can you believe that? They hand-toast it all. Unbelievably awesome. to the awesome canning machine they recently purchased from Pepsi. 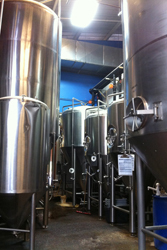 To be perfectly honest, I didn’t take down all the details – I was just amazed at the concept that every single Maui Brewing Co. beer I’ve ever had recently has come from this modest facility. That’s one of the things that makes Maui Brewing Co. so cool – they are totally committed to being a true Hawaiian-brewed beer – unlike other “Hawaiian beer” companies that actually make their beer on the Mainland to save on costs, it is so important to Maui Brewing Co. that their product is truly a Hawaiian-brewed product that they go to great lengths to ensure the quality and integrity of their fabulous libation. 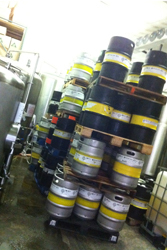 After the tour, we of course had a few pints in the tasting room before we headed out. 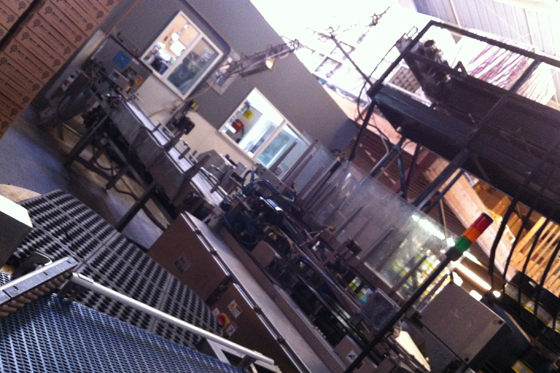 I am so glad I got to tour this fine facility, and I’ll be sure to keep buying their awesome beer. Besides the fact that it’s fantastic quality and darn tasty, I am proud to be a patron of a company that is not just producing a great product, but also perpetuating the Hawaiian value of Aloha ‘Aina – caring for the land. 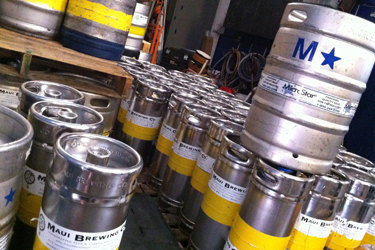 If you’re in the area, you need to visit the brewery and sample some of Maui Brewing Company’s awesome beers. 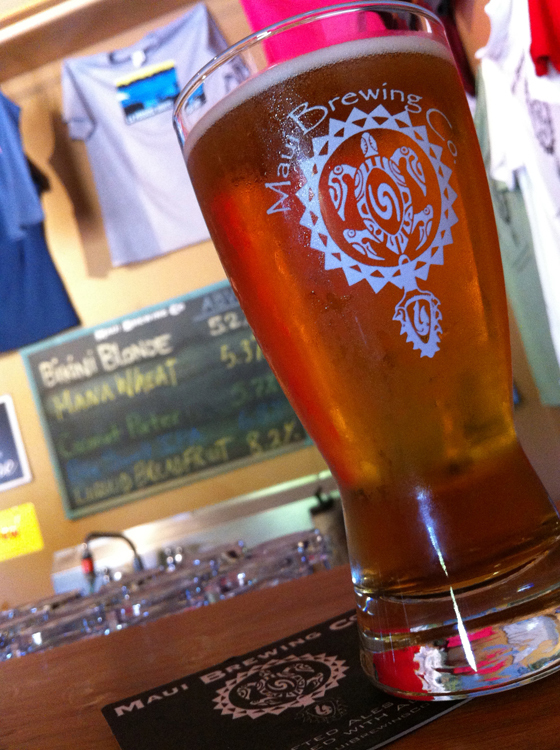 Support Hawaii, support Maui, and support the art of craft brewing. Okole Maluna!